myWindowbox is a small business dedicated to bringing customers stunningly realised, stylish and elegant window box solutions that allow people dwelling in buildings without gardens to have their own space to grow plants and flowers. 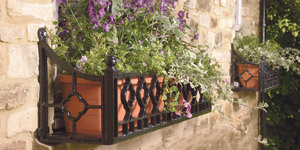 Manufactured from the highest quality materials, myWindowbox offer a varied range of styles from contemporary cast aluminium designs with intricate detailing to more modern troughs made from galvanised steel and fibreglass and with such a large array of designs on offer there’s a stunning style to suit any and all tastes all at an equally attractive price. Where myWindowbox differ from the competition is in their user friendly approach to design and installation, along with their personal customer service focused approach to dealing with sales. Friendly and professional the team are on hand to help with any and all enquiries from the best window box to choose for your desired location through to troubleshooting the installation process. Their cast aluminium selection have classic period designs, are made from sand and die cast aluminium, and once cast are fettled making them smooth. A powder-coating gives an extremely durable finish. 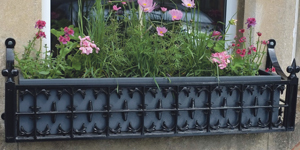 For an elegant and more contemporary look their latest range of highly durable, powder-coated steel bar window boxes are available in three stylish designs. These window boxes come flat-packed and slot together in the same simple way as the aluminium window boxes. To browse the stunning styles of window boxes on offer from myWindowbox visit the website below, or alternatively give the friendly team a call who’ll happily discuss your needs in greater detail. This entry was posted in Building Update and tagged Flower Boxes, Plants, Window Box. Bookmark the permalink.